Sanshu flew down into the canyon, watching the streams flow below him as he came towards the East Base, of which Orochimaru was currently located. The vulture swooped down and came close to the ground, poofing away Sanshu floated down and landed safely. He looked around, searching for Orochimaru, his eyes shadowed, completely black as if his skull were hollow. With this, he simply walked forward until he was at the center of the base. Standing, waiting, emotionlessly. He was ready to join Orochimaru's ranks in exchange for a curse seal which would most likely heavily increase his abilities. Sanshu was prepared to perform any task wished, of which he had heard rumors of the wishes of Sakon and Ukon's death. He could only wait. Orochimaru was just returning from the North Base's destruction to see this person standing here at this one. He was not in a good mood. "You.... leave now before I have the compulsive urge to kill you..." This was a lie, Orochimaru already wanted this stranger dead. He continued to the entrance of this base completely ignoring the other person's presence. Completely disregarding Orochimaru's bad mood, he continued on to the point. Sanshu "It seems your mood has turned sour. I saw that your north base was destroyed while flying here. It seems you are in need of help. I am willing to offer my abilities in exchange for your gift of power." Sanshu stood, his cloak shuffling lightly, his dark shadowed eyes piercing into Orochimaru even if he wasn't looking. He honestly didn't care of Orochimaru's mood, or the fact his base was being completely obliterated, he was here for his own purpose. Sanshu stared forward during Orochimaru's act of intimidation. Not even a twitch of the lips. His dark, shadowed eyes simply looked forward. He didn't flinch. Didn't twitch. Not one step was taken. He simply replied to Orochimaru's question even though he wasn't supposed to answer it. 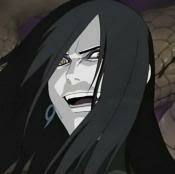 Sanshu "You are Orochimaru. One of the three legendary sannin prior to your fight with Jiraiya and Tsunade. You no longer have control of manda, as sasuke has taken him from you according to my knowledge. Your jutsu revolves around snakes, and your forbidden techniques include the impure world resurrection, oral rebirth, and various other jutsu. 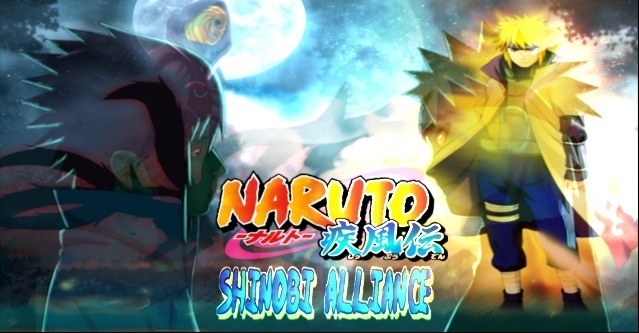 Your goal is to learn all the jutsu in the world." He replied with all of this still emotionless. He had done his homework, studying all about Orochimaru prior to his leaving of Amegakure. He wondered how the former sannin would react to this response, as seeing he was the lord of fear. Most of the information he found was accurate, but he was unsure of most, some of it might be a lucky guess. Sanshu "You are correct that most people today crave power. Unfortunately I already have power, I only wish to increase it further." He waited for a reply from Orochimaru, still standing and looking forward emotionlessly. Sanshu "Kuchiyose no Jutsu : Ekirei Hagetaka!" The bird was summoned once again. He climbed on, and took off without another word to find this Tamotsu and kill him.